Developing an effective strategy for your organisation depends on your willingness to confront inconvenient truths, and your ability to see the world as it is, rather than how you wish it were. In 1894, a member of the French army’s general staff discovered a torn-up note in a waste-paper bin. When they pieced the note back together, they found that an officer had been selling military secrets to Germany. The hunt began to find the traitor. learned from his teachers that Dreyfus had an excellent memory (very useful for a spy, who has to memorise a lot of information). Dreyfus was found guilty, publicly humiliated and imprisoned for life on Devil’s Island, a barren land off the coast of South America. So were the investigators mad, bad or wrong to conclude that Dreyfus was guilty on such flimsy evidence? Did they know he was innocent but just not care? Was he framed to protect someone else? Researcher Julia Galef argues that we don’t have to assume any madness or badness on the part of the investigators. What they did was all too human and predictable: we are all guilty at times of the confirmation bias to which they fell prey. In an illuminating TED talk, Galef contrasts two different mindsets, which she calls the ‘soldier’ and the ‘scout’. Imagine a soldier in the heat of battle, with adrenalin pumping and heart pounding. The soldier’s actions all stem from deeply-ingrained reflexes: instincts aimed at protecting their own side and defeating the enemy. They are swept along by this over-riding purpose. By contrast, a scout’s job is not to attack or defend: the scout’s job is to understand how things really are. They may hope to learn there is a safe place to make camp just over the next ridge, but if what they find is an exposed plain with no good shelter, that is just what they will report back to their commanding officer. These roles are also metaphors for different mind-sets. When the French high command were investigating Dreyfus, they were almost certainly in a soldier mindset. Their country was under threat, military secrets were being sold to a foreign power. It was an ‘us’ and ‘them’ situation. And Dreyfus may well have stood out at first because he was Jewish – for the investigators he was not one of ‘us’, so he must have been ‘one of them’. A high-ranking French officer began to suspect that the case against Dreyfus was flawed. 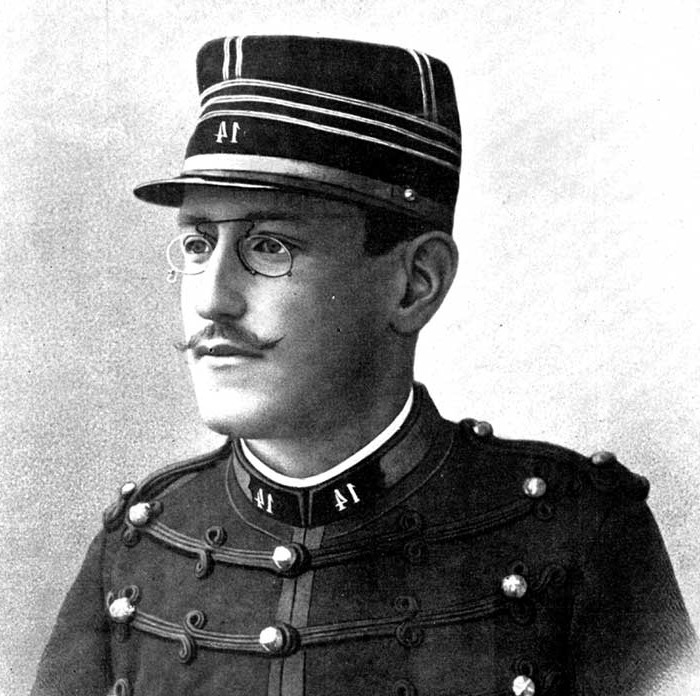 Colonel Picquart had reason to believe that the spying had continued after Dreyfus was in prison. But it took 10 years for him to finally have the case against Dreyfus over-turned. Picquart demonstrated a ‘scout’ mindset. He was interested in confronting the truth, even when that was inconvenient for him personally (during his campaign to free Dreyfus, he himself spent time in prison for his disloyalty to the army). He was curious enough to investigate why Dreyfus might not be guilty, even when his organisation was convinced otherwise. In developing an effective organisational strategy, you need to follow a process that forces you to confront the world as it actually is, not how you would like it to be. The scout mindset – curiosity, a willingness to look for evidence that disproves what you believe, and an ability feel proud rather than ashamed when we discover our errors – is your friend when facing an uncertain future. Are we being soldiers or scouts here? What evidence could we find to show this isn’t true? Who am I not listening to right now, because they see things differently to me? Want to know how to see the world as it actually is when developing your organisation’s strategy? Drop me a line at stuart@stuartreid.org.uk.